Our Company is engaged in manufacturing premium quality of vibratory products and known as leadingVibrating screen manufacturer, supplier, and exporter in India. Our range of machine includes vibrating screen, salt sieving screens, metal sieving screens, and circular throw vibrating screen. We offer this machine in various models to suit different application. Gayatri Magnet vibrating screen machine adjusts its amplitude by vibration screen of the eccentric shaft. To make the material screen, its body moves like a circle. We are known as vibrating screen manufacturer, supplier, and exporter in India and we are offering wide the range of vibrating screen machines to our all clients as per their specifications and in various dimensions. Out of these machines are known for their tough construction, high efficiency, and minimum maintenance. These features play an active role in the grading of different type of food grains. We are offering these machines to our clients at market leading prices. In a Simple way, we can say that vibrating screens are used to separate different material according to their size. So by choosing the right equipment for your need, you should be able to get desired results you need such as anything from removing large particles to getting rid of particles that are too much fine. Many types of vibrating screens are available with us and choosing the right one will depend on your requirement for vibratory screen machine for. In Food and Pharma industries, hygiene is the most required thing. Here you can choose Vibrating screening machine made from SS material. If you are working with a machine than in that case you need a more durable machine. Vibrating Screen machine is widely used for screening and grading material in the given following fields: building materials, food Industry, Ceramic Industry, hydropower, transportation, Mineral Industry, Chemical Industry and many more. The vibratory motor provides power to the vibrating deck. These machines are available with us in various sizes. To serve various applications, amplitude and throw angle can be changed. Tightening of wire mesh feature is provided within the machine. 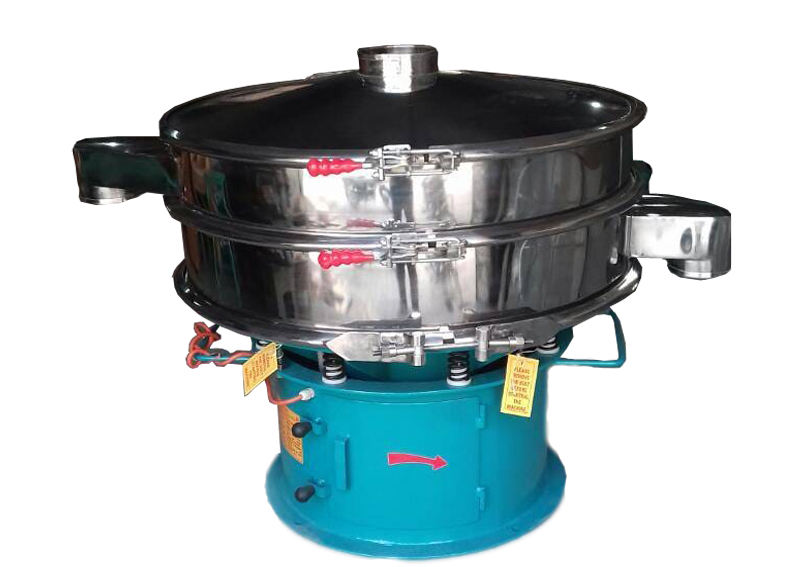 Gayatri Circular Vibrating Screen Machine is a general purpose vibrating screen for medium fine application with robust construction. This is a medium amplitude machine powered by an efficient motor. Parameters such as frequency and amplitude can be changed as per the particle characteristics. This machine is supported on the springs and it is fitted with an eccentric shaft at the vibrating deck axis.